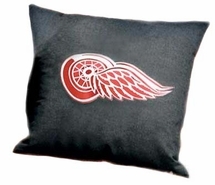 Sports Pillows Complete your dream sports bedroom with our tremendous selection or sports pillows! 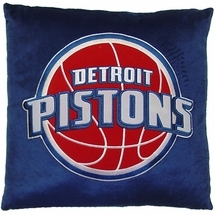 Perfect for both kids and adults and available in a wide variety of sizes and shapes, these plush sports pillows feature the colors, images and logos of all your favorite sports teams and athletes from the NBA, NFL, MLB, NHL, NCAA and NASCAR! 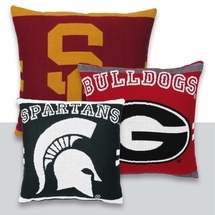 We offer sports pillows for all of the most popular teams out there with more being added everyday! 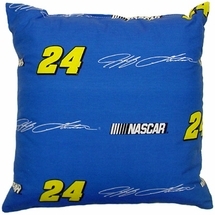 From professional sports teams like the Boston Red Sox, the New York Yankees, LA Lakers, New England Patriots, Green Bay Packers and the Detroit Red Wings, to sports pillows for NCAA college teams like the University of Michigan and the University of Nebraska, as well as your favorite NASCAR drivers like Dale Earnhardt and Jeff Gordon, we truly have them all! Simply click on any link below to view the available teams for each sport. 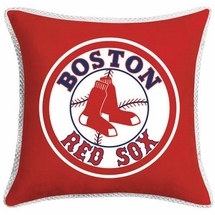 In addition to sports throw pillows, while you are here be sure to also check out our great selection of sports bedding, sports fan gear and bedding accessories, for the ultimate sports bedroom! 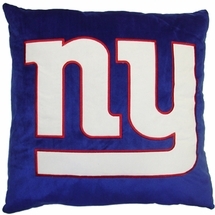 Order sports pillows now right here from our completely secure online store. For more information on these or other sports pillow options, or to place your order over the phone, just give us call now toll-free at 877-233-2284 to speak with a friendly Laurens Linens sales representative.